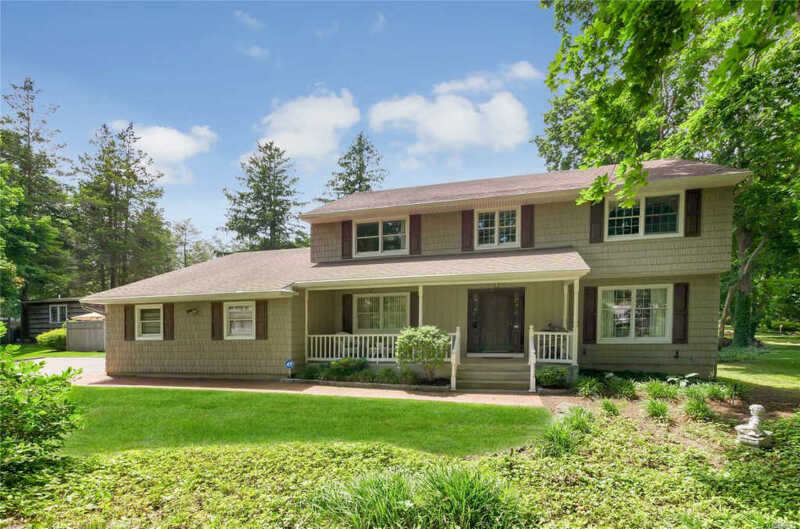 Spacious Colonial W/Clean Neutral Palette And Large Bright Rooms Set On Flat 1/2 Acre Property. High Quality Ss Kitchen Appliances, Andersen Windows, Ample Closets, Newly Updated Master Bath With Frameless Glass Shower And Double Vanity, Double Oil Tanks, High Ceiling Basement, Upgraded 200 Amp Electric, Igs, Gas On Street For Future Conversion. Main Level Laundry W/Sink, Architectural Roof, Maintenance Free Cedar Impression Vinyl Siding, Newer Cac And Heating - Tons Of Curb Appeal!